Make your passion your future! North Central Career Centers are here to help you reach your goals. Employers look for the best candidate with skills that match their needs. If you have workplace skills that match employers’ needs, you will stand out over other applicants vying for the same position. At North Central Career Center we help you develop, plan and prepare so you can be career ready. Your family and friends are your primary support during this time of job transition. But consider us as your “technical support.” We can help you learn how to use today’s job search tools and techniques with confidence. 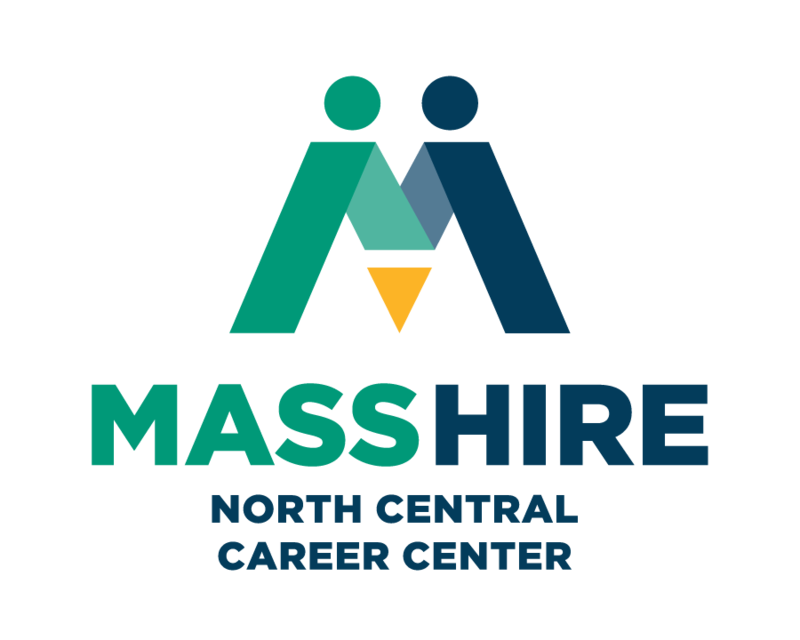 At the North Central Career Centers locations, we support you with the resources you need to conduct an effective job search. The Resource Room is equipped with computers for self-service. Assistance is available for basic computer assistance on a walk-in basis. Access the internet for job search activities, write/type your resume on Microsoft Word and print a copy. Visit our offices for research, labor market information and/or read material on job searching techniques. This material provides a wealth of job search information in one convenient location. Also consider visiting a local library for additional research – Public Library Listing : Leominster, Fitchburg & Gardner. Search for (TOP) Training Opportunities Program Section 30 Approved training programs on Massachusetts JobQuest. Unemployment Insurance information with a variety of publications to help you understand the law and your rights and responsibilities. Commonwealth Employment Opportunities (CEO) is a comprehensive listing of current openings in Massachusetts State government. An excellent resume has the power to open doors. Your resume describes your qualifications and what makes you unique. To stand out among other applicants, you need a resume that markets your strengths and match for the job. And most importantly, gets you a job interview! Understanding the basics of resume construction makes starting easier. Once you’ve completed your research and settled on a job target, it’s time to put your resume together. Since your resume is organized in sections, learn what these sections are and why they’re important. If you want to see examples to help picture how to write each section, view our walk-through sample and other sample resumes. Manage where your resume goes for an effective job search. You’ve invested time and effort to create a great resume. The next step is to get it into the hands of people who can hire you, or influence hiring decisions. At different points in your job search, you may contact employers directly, make connections through networking, or search electronically for opportunities. Next, to hone your online presence, learn how to make the most of the Internet in your job search. Learn details about each section of the resume and what to include. One of the best ways to learn how to write an effective resume is to study examples. Below, find a section-by-section example for Beth Smith, an administrative assistant who wants to move into work as a project coordinator. Check out these additional sample resumes for a range of styles, formats, and fields. Find resume samples that feature different formats, fields, and levels of work experience. These real-life samples use a variety of formats and approaches. Each starts out with a summary or profile that quickly communicates who the writer is and what he or she offers. View top resume strategies for more ideas. Krista uses a functional format to highlight her strong skills in caring for the elderly and vulnerable adults. Her role as a kind, caring professional shines through this resume. John uses a chronological format to highlight his strong experience in manufacturing and material requirements planning. Because those skills are important to his job target as a supply chain manager, he highlights them throughout. Although Meg’s last two assignments were temporary, they support her target of working as a paralegal, so she uses a chronological focus. Note her keyword-rich qualifications list, which highlights functions she handled as a paralegal. Michael is a journalism and public relations graduate seeking an opportunity in public relations. The one-page format allows him to emphasize his recent degree while still promoting his internships with top firms in the area. Because she has impressive, consistent work experience in her field, Mary Ann uses a chronological format. She also emphasizes the healthcare organizations she has worked with by providing a brief description of each in italics. Also, visit this walk-through sample resume for Beth Smith, an administrative assistant seeking a project coordinator position. Learn what she includes in each section and why. I keep sending out my resume, but nothing is happening. Any tips? Your resume may need to do a better job selling your strengths. Here are some great resume writing strategies to make your resume stronger. Also, you may need more effective marketing ideas. Should I include an objective? I’ve heard conflicting opinions. Career experts differ on the need for an objective. But if you do use one, make sure it’s directed to the employer, and specific, not self-serving, or general. For a good example, see the first draft page. I’ve read that most employers prefer a chronological format. Should I use one? Employers want to see your employment history, so always include it. However, if your work history isn’t the strongest selling point, a chronological format may not be your best approach. Learn what format is right for you. I’ve just created a LinkedIn profile. Do I still need a resume? Yes. While it’s true that your LinkedIn profile is similar to a resume, and that you can even convert your profile to a resume – you still need a traditional resume. Learn why. Where can I find good examples of resumes? Try Googling “resume samples”, and find resume books with examples in libraries, American Job Centers, and college career centers. And view a walk-through sample and other samples to see different formats and occupations. I’m in the process of changing careers. What does this mean for my resume? You’ll need to convince employers that what you’ve done in the past relates to their needs. Learn how to identify your transferable skills and communicate your accomplishments. Is it okay to use a testimonial in my resume, or is that inappropriate? Your resume is a sales document that sells you, so a testimonial can work well. Be sure to ask for permission first. To see a testimonial that’s been integrated into a resume, view the top portion of this sample resume. I’m trying to fit my resume onto one page and it’s not working. Any advice? You may need to use two pages, which is quite acceptable for experienced professionals. In fact, if using one page is making your resume crowded and hard to read, your resume may get passed over for that reason. Just be sure it’s all necessary. See our guidelines on designing your resume. I’ve heard it’s good to have a plain-text resume. How do I make one? A plain-text resume, also sometimes called an ASCII (American Standard Code for Information Interchange) resume, may be required when a resume site or tracking system can’t read your Word-formatted resume. For instructions and a sample, see this section on resume design. Need some personal assistance for your resume? Take one of our resume writing workshops! Your public library is also a great resource for resume and job search books; many offer free resume-writing and job search workshops. Locate your local public library. Most colleges and universities have career centers. Current students and graduates are generally eligible for free career counseling and resume-writing help. Some centers offer the same services to the public for a small fee. A professional resume writer may be able to help, but check to confirm the writer’s credentials before hiring them. To learn what to look for and find local resources, visit the National Resume Writers Association. Set SMART goals to get ahead in your career. Where would you like to be in one year? In five years? What experiences will help you achieve that? What interests and skills would you like to use in your career? Setting a career goal is about deciding where you want to head in your career, and noting the steps needed to reach that point. What are examples of typical career goals? Increase professional knowledge and training. Whether taking a college class, a workshop offered by an employer, getting a certification, or other, this is a common goal. It can be useful both if you are looking for work, or are already employed. Increase earnings. Being underpaid often detracts from motivation and performance. Making changes to earn more increases enthusiasm for most jobs, and motivates a job search. Improve low-functioning work processes or relationships. This goal area can make the daily work experience more positive and rewarding. Have new experiences. Whether volunteering in your community or at work, joining a professional association to meet new people in your field, or introducing yourself to people you never talk with, new experiences fuel interest in your career. Attain a leadership role. Many people feel their ultimate goal is to lead in their career or organization. Establishing the steps to achieve a leadership role makes it possible. A popular acronym can help you write effective goals. Try the SMART system for your career goal. Measurable – To determine if your goal is measurable, ask questions such as: how much? How many? How will I know when it is accomplished? Attainable – Goals are most attainable when steps are thought out clearly and allow enough time. How do you intend to accomplish your goal? Which actions follow on other actions? Is the goal realistic given where you’re starting from? It should be a challenge, but also achievable. Relevant – A relevant goal is one that really matters to you and to the end result. Is it worthwhile? Is this the right time? Does your goal relate to other efforts or timelines? Does it require resources that are currently available? Timely – A goal should be grounded within a defined time period, both for clarity and to give your action urgency. When do you want to begin? When do you want to complete each step? Write down the steps. Write down your career goal and the steps to get there. This will help you remember and achieve each step. Post your list where you will see it often. Set deadlines. Give yourself a date to complete your goals by. Write the date when you actually finish each step. Reward yourself. Taking steps toward goals is hard work. Think of small rewards to give yourself when you complete any step, to help you stay motivated. Have a goal partner. Find someone to help you stick to your plan: a friend, co-worker, a job coach, or someone else. Discuss your goals, and check in with them when you complete steps. If possible, do the same for your partner!